Comment: Used - Good We have a three point inspection process to ensure the quality of our items and authenticity of our DVDs. 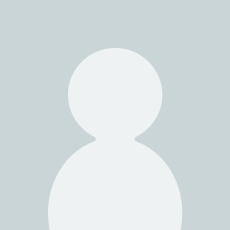 Please contact us if there is any issue with your purchase. We will ensure you're satisfied with your purchase. A rapidly growing number of Americans are embracing life outside the bounds of organized religion. Although America has long been viewed as a fervently religious Christian nation, survey data shows that more and more Americans are identifying as “not religious.” There are more non-religious Americans than ever before, yet social scientists have not adequately studied or typologized secularities, and the lived reality of secular individuals in America has not been astutely analyzed. American Secularism documents how changes to American society have fueled these shifts in the non-religious landscape and examines the diverse and dynamic world of secular Americans. This volume offers a theoretical framework for understanding secularisms. It explores secular Americans’ thought and practice to understand secularisms as worldviews in their own right, not just as negations of religion. Drawing on empirical data, the authors examine how people live secular lives and make meaning outside of organized religion. Joseph O. Baker and Buster G. Smith link secularities to broader issues of social power and organization, providing an empirical and cultural perspective on the secular landscape. In so doing, they demonstrate that shifts in American secularism are reflective of changes in the political meanings of “religion” in American culture. 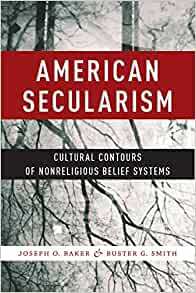 American Secularism addresses the contemporary lived reality of secular individuals, outlining forms of secular identity and showing their connection to patterns of family formation, sexuality, and politics, providing scholars of religion with a more comprehensive understanding of worldviews that do not include traditional religion. Start reading American Secularism on your Kindle in under a minute. Great book and well-written with an insightful and interesting perspective that opens our eyes to various ways of thinking. I recommend it.